We had the pleasure to meet Nick at the Denver Beer Festivus sponsored by Imbibe.com on Saturday in Denver. 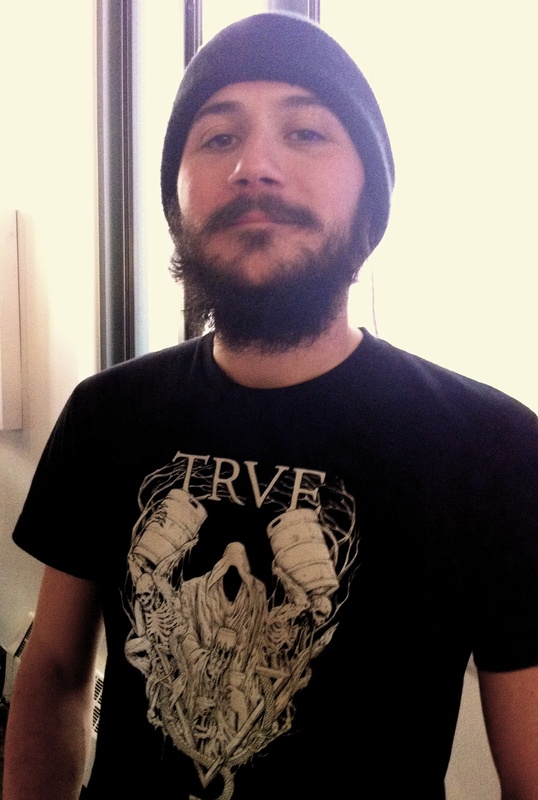 Nick is the proprietor at TRVE Brewing Company located at Second and Broadway, which specializes in making great brews AND playing metal music. Nick, originally from the east coast, started growing his beard around 2006, and has had his current beard about six months. His favorite thing about his beard is the attention it gets him, and deservedly so! TRVE Brewing Company is currently open Wednesday through Saturday, but in January you can enjoy a brew there on Sundays, too. We encourage you to drop by sooner than later—it’s not everywhere you can enjoy a great beer, metal music, and admire an awesome beard.